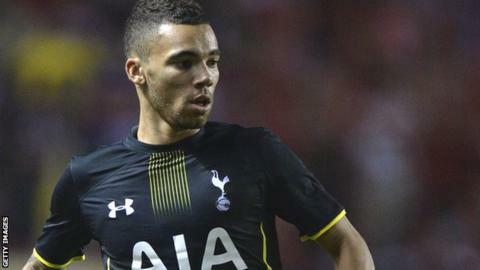 Bristol City have signed Tottenham Hotspur wing-back Ryan Fredericks for an undisclosed fee. The 22-year-old has signed a three-year contract at the Championship club. Fredericks, who spent all of last season on loan at Middlesbrough, made four first-team appearances for Spurs. "He's had a good grounding at Tottenham and enjoyed a good spell on loan at Middlesbrough," said Bristol City boss Steve Cotterill. "I'm sure he will fit in with our existing group of players." Fredericks is only the second signing to be made by City this summer, following the arrival of French striker Jonathan Kodjia, meaning they now have a total of 17 players in their first-team squad.